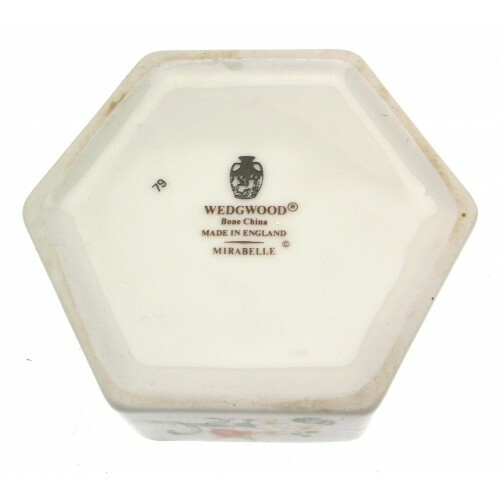 A charming Wedgwood trinket box and lid from the Wedgwood giftware range. Pattern is Mirabelle, now a discontinued pattern. Although previously owned, this piece of giftware is in excellent condition, and is of first quality. 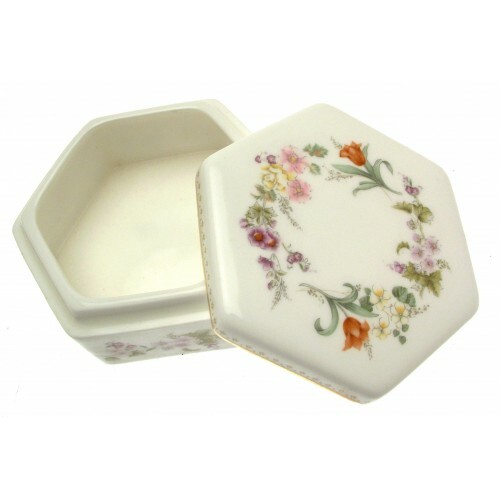 Trinket box measures 9 x 4 cms. Very pretty piece of Minton. Unknown pattern name but pattern number is OA2112. Floral pattern to bo.. 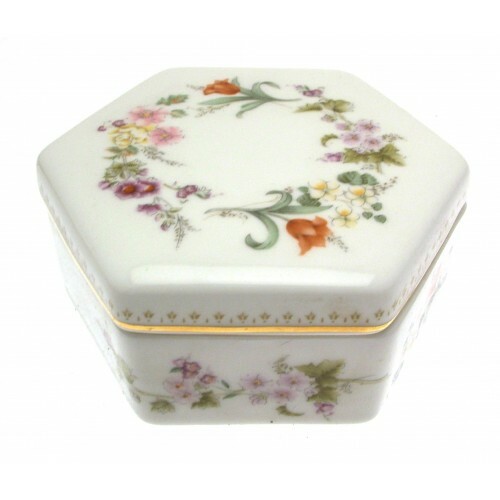 Unusual Aynsley Little Sweetheart trinket pot with lid - ideal for a dressing table or similar. Alth.. 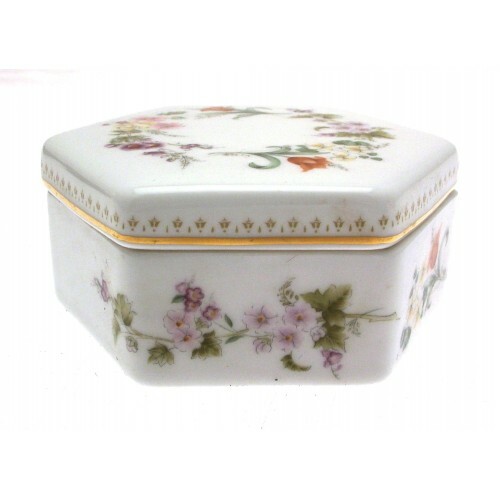 Pretty Wedgwood trinket box and lid in the pattern, Swallow, gilt finish. Although previously owned,.. Unusual piece of Wedwood Portland Blue Jasper ware from part of the Wedgwood Bridge Set collection. ..